U.S. Stocks Are Showing Early Weakness After Monday's Bull Run. Following a GAP up and bullish breakout to open April, the U.S. indices appear to be taking a break. For the first 45 minutes of trade, the DJIA (-70), S&P 500 SPX (-1), and NASDAQ (+1) have slowed gains considerably. At least for now, traders seem content to let the dust clear from Monday’s rally before bidding U.S. stocks. All in all, today’s Durable Goods (Feb.) report backs up the current narrative of slowing U.S. economic growth. 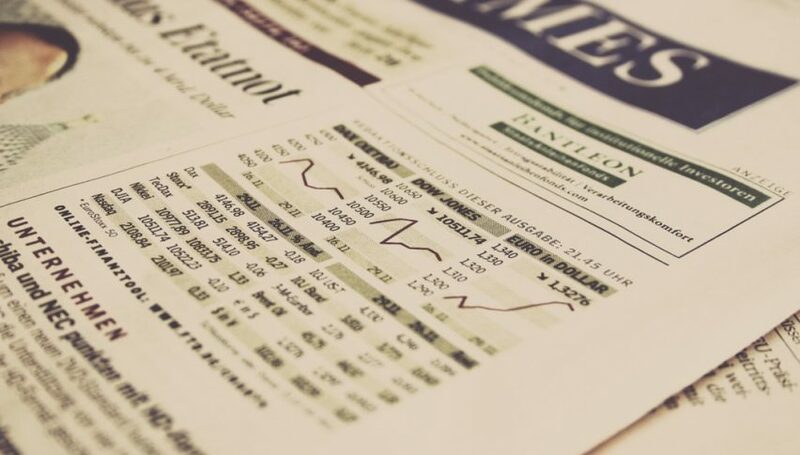 Recent metrics have been far from positive ― perhaps the U.S. economy is indeed destined for a lack-luster 2019. 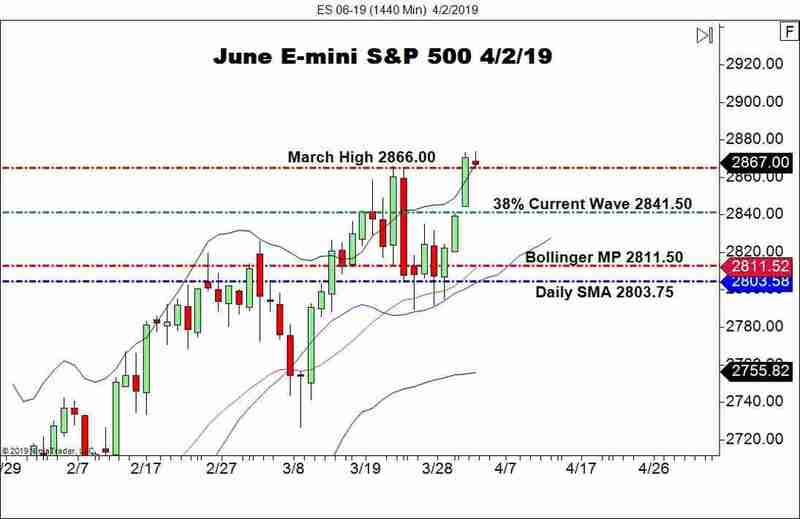 The June E-mini S&P 500 is consolidating just above the March High (2866.00) level. This is a bit of a surprise given the strength shown on Monday. Bottom Line: Earlier, the June E-mini S&Ps posted a 1-tick failed auction above Monday’s high. At least for the short-term, this is a bearish signal. As long as today’s intrasession high (2873.75) holds up, I will have buy orders in queue from 2843.50. With an initial stop at 2838.50, this trade produces 20 ticks on a standard 1:1 risk vs reward ratio.